Hidden behind a curtain at the back of a buzzing hotdog and champagne bar, you'll find Kitchen Table. An open kitchen flanked by just 19 high seats and proud owners of a Michelin star. It's been on my list forever and so I was extremely excited to head down last Wednesday as a sort of pre-birthday adventure (hello 27 this Wednesday!). As early birthdays go, this one was pretty special. James and the team at Kitchen Table like to do things a little differently. 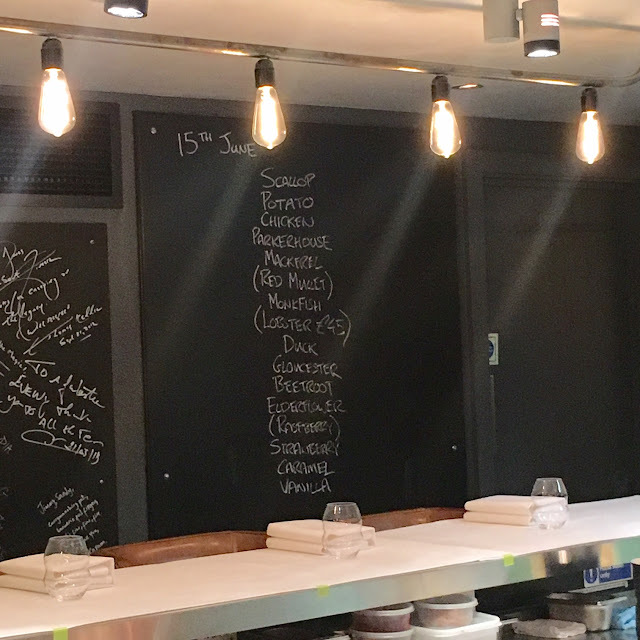 There's no menu to choose from - just a list of 14 or so daily changing dishes chalked onto a wall on one side of the room. No lengthy descriptions here either, just single words of the main ingredient, adding a tangible layer of mystery. 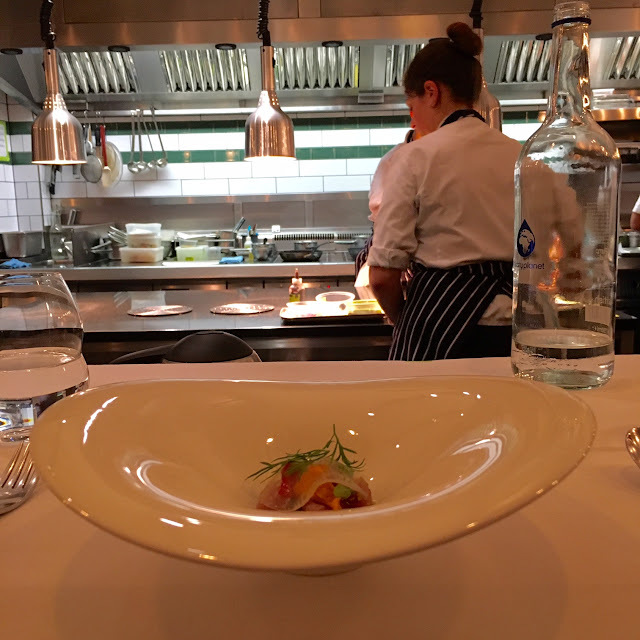 There's no waiting staff either - the six or so brilliant chefs who work diligently in front of you serve you the dishes themselves, taking time to explain each element and then checking in later with you to answer any questions you may have. And there's Ben, the restaurant manager, who's happy to dish out extra bread, persuade your dubious boyfriend that the 2013 Chateauneuf du Pape is actually pretty good, and give you a last glass of Kummel at the end. 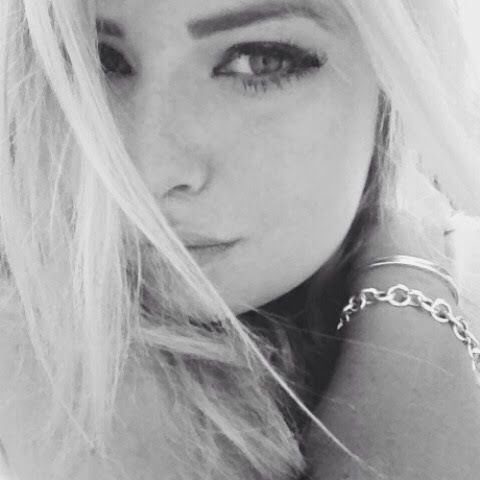 But first, we cracked open a bottle of champagne. Smooth, light and crisp, it was the perfect accompaniment for the first few of the dishes. Shall we begin? 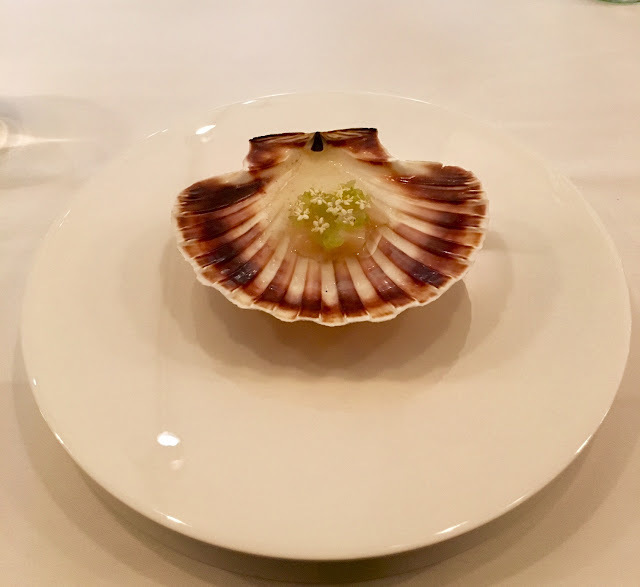 The opening plate was a hand-dived scallop from Orkney. First shown to us before it was shucked, we then watched as the chefs whirled around each other in a dance of pure fluidity, each knowing exactly what to do and when. (We later asked James how they each knew what to do given the menu changes every day and he said it was a combination of rehearsal and common sense). Diced and raw, it was accompanied by an elderflower and cucumber vinegar, elderflower tea and topped with the elderflowers themselves. Light, fresh and the perfect balance of sharp and sweet. Next came this delightful little crisp. Potatoes are juiced, dehydrated and the fried. The Scottish salmon is salted and smoked on the Norfolk coast, and then added to the crisp with sour cream, brown sugar and chives. This is one smart little snack and chomped in three or so bites. Eagerly. The third course was chicken. Crispy chicken skin was lightly spread with rosemary mascarpone and then topped with a rich, flavoursome bacon jam. The saltiness of the main elements was lifted by the creaminess of the cheese and the rosemary brought everything together. The fourth dish was Parkerhouse. Everyone was clueless until chef Rich explained that it's a type of bread, invented in Boston, made with milk so that the inside is soft and sweet and the crust crispy. 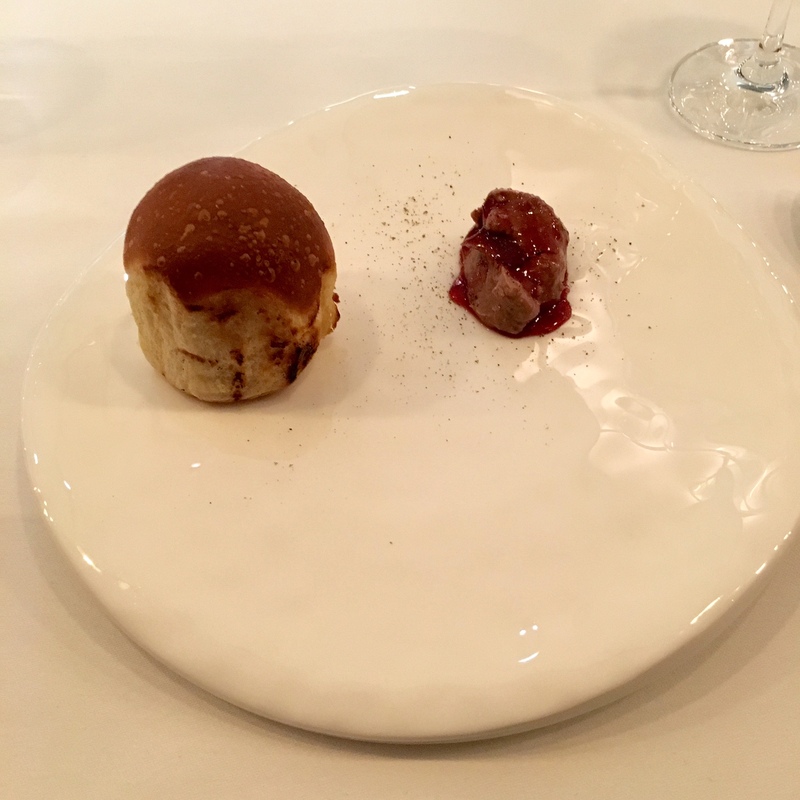 It was grilled over charcoal and served with duck liver parfait, drizzled with pickled plum syrup and cherry. P and I took two rolls each, as did the girls next to us. At one point, a Kitchen Table first apparently, our sitting had demolished the entire set. Then came mackerel. Line caught in Cornwall and whisked to the city that morning, it was diced and served raw, seasoned with oil and salt. It sat on an oyster emulsion and was surrounded by Isle of Wight tomatoes: some dehydrated, some fresh and some as a thin jelly, with oyster basil herbs. The fish, as to be expected, was light and the tomatoes done three ways were an interesting addition. Having never had jellied tomatoes, the clear layer lent an interesting texture to the plate. At this stage, we moved onto the red wine. Having a boyfriend who loves wine as much as me but is infinitely more knowledgeable can be both a blessing and a curse. We spotted a pretty special Chateauneuf de Pape on the menu but with a 2013 vintage (a year known for bad weather and bad wine in France), and so P was reluctant. Ben, the restaurant manager, insisted it was up to par and that we should try it and so, after some back and forth, we did. And of course, it was divine. Chosen by Sandia Chang, wife of chef James, it was smooth and light and everything we could have asked for for the next set of dishes. Dish six was monkfish. Like most people, I was expecting a normal cut but instead we were served the liver. A large organ that grows near the fish's head, it was pan fried and served with white asparagus from the Wye Valley, champagne butter and green strawberries and it was delicious. 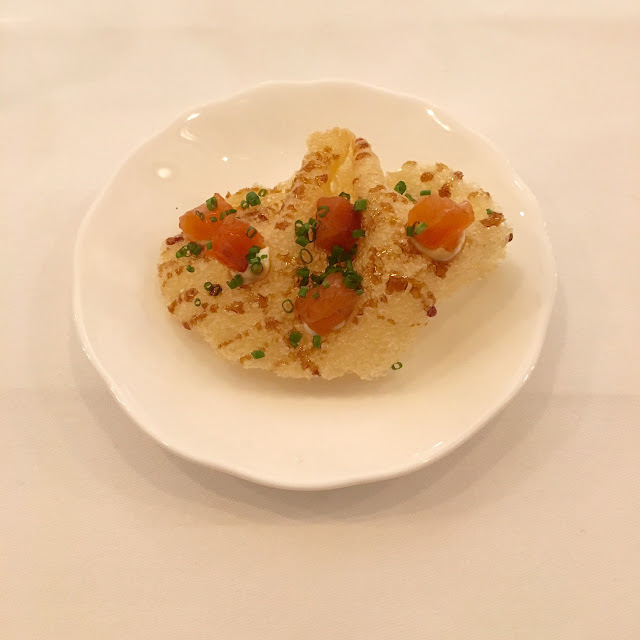 With a melt in the mouth texture, it's been likened to the foie gras of the sea, all meaty and rich. Next up was duck. Using the hearts and gizzards of the birds slaughtered that day (whose livers we'd eaten with the Parkerhouse bread), they were roasted in brown butter over charcoal and served with cabbage with pickled Japanese rose petals. For sweetness, there was yoghurt and raspberries. As someone who doesn't eat much duck, I wasn't expecting to love this as much as I did. 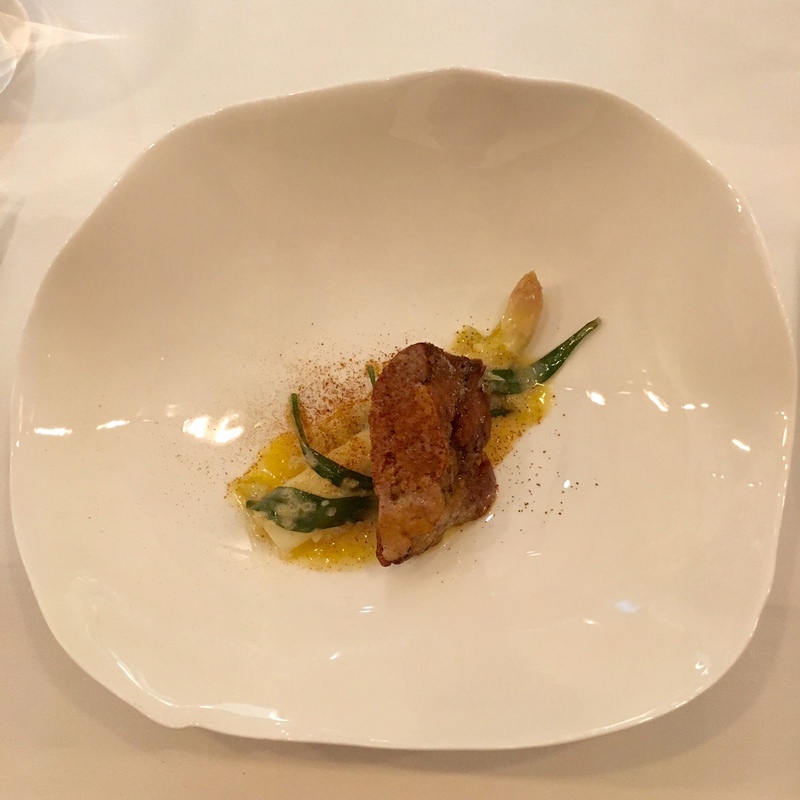 The rounded flavours of each element worked together so seamlessly, I could have eaten whole plates of this. 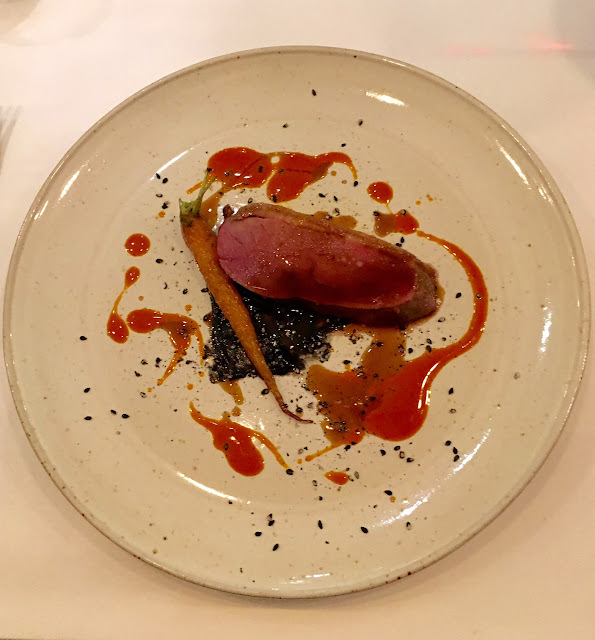 Then came another duck dish. This time, the breast. Cooked in the pan and roasted over charcoal again with a meaty sauce made from the bones. Drizzled with sesame seed puree - which I'm not usually a fan of but, of course, went hand in hand - and carrots. You know what? I think I'm starting to come around to duck. It was at this point that we were segueing towards the sweet end of the menu. Eight dishes down, we weren't full but pleasantly sated, thanks to the change in flavours and textures. And so I was ready and waiting for the Gloucester. 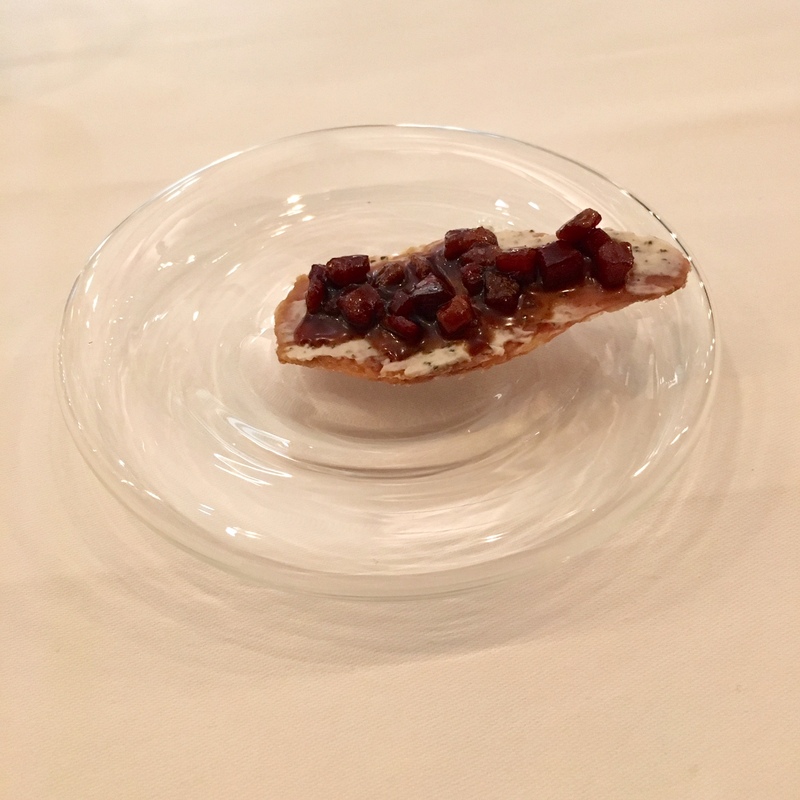 The cheese was melted into a dish similar to risotto with sprouted greens and barley, pipped with redcurrants for a brilliantly sharp bite. This was delectable comfort food at its best and something I could eat with a large spoon from a large pot for hours on end. And here's where my photography taking went a little awry. I continued to diligently take notes (always one for documentation) but I seem to have skipped on the photos and dived straight into some of the dishes. Which is why I have no proof of beetroot. It was made into a marmalade, infused with woodruff for a herby, garden flavour and then served on a sour cream ice cream which was just simply divine. The smooth-but-not-sweet was thick but not cloying and a great balancer for the tart beet. 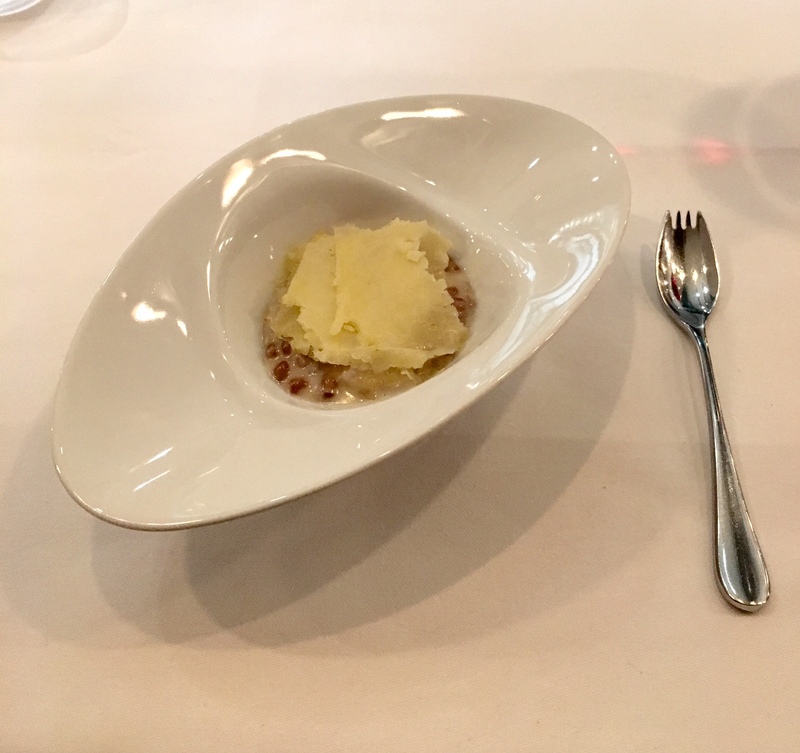 I didn't get a picture of elderflower either which was fried in tempura batter and served with elderflower cordial and sorbet. The perfect palate cleanser, of course, with the added activity of snapping the elderflower into bitesize chunks and feeling the crisp batter flake off in your mouth. I did get a snap of the strawberry with liquorice yoghurt ice cream. For someone that is definitely not a liquorice fan (too many childhood memories of Bassett's Allsorts), it was never going to be my favourite but I did like it. 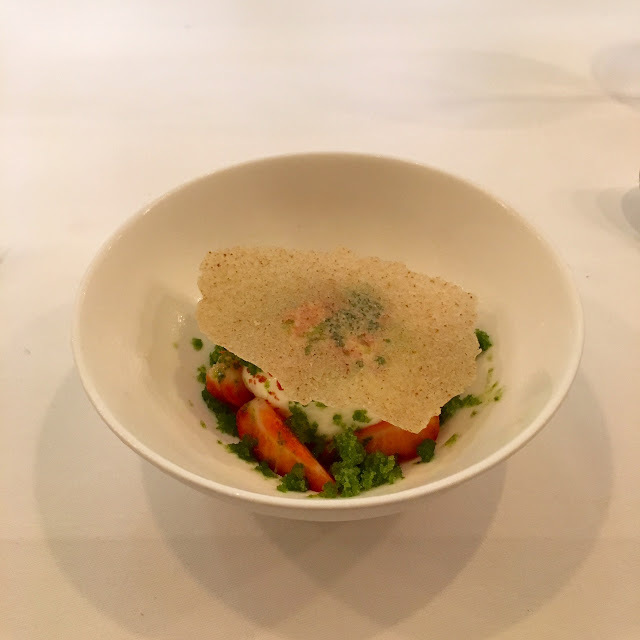 There was tuile, too, to snap and crumble into the bowl and the granita added icy freshness without being too saccharine. I just wish I could remember quite what was in it. And then there was caramel. A tiny cup of caramel ice cream, in a chocolate mould with a cookie base. This was sheer childhood indulgence at its best and unfortunately something that we all snaffled far too quickly to photograph. And finally, came vanilla. Delicious squares of homemade vanilla fudge served on a ubiquitous slate and with a final thank you to and from the chefs. Fourteen wonderful courses now at an end. 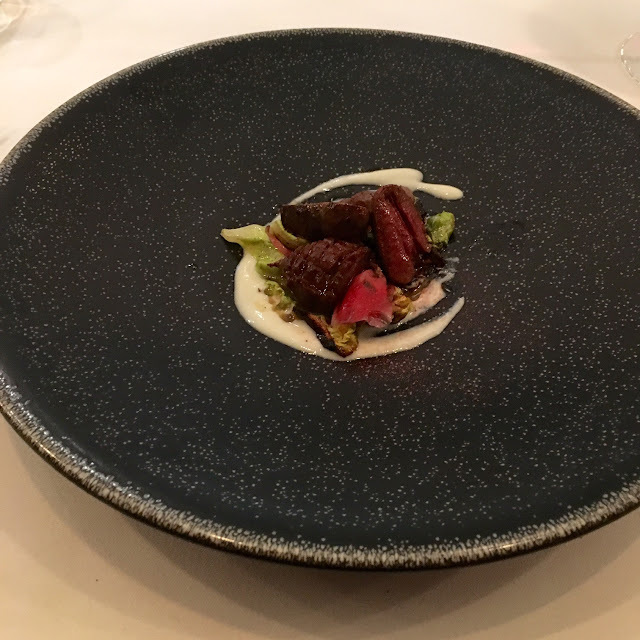 This has been a particularly gushing write up, I know, but I honestly feel that Kitchen Table was one of the best dining experiences I've had. From the sheer brilliance of the menu, the great wine, the interaction of the chefs, the whole package is one I'm dying to complete. There was a guy who'd been 30 times - perhaps I could try and beat his record?